This is one of the better pet rabbit books that has been published recently. 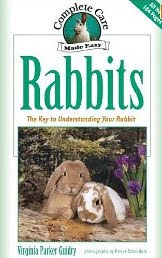 It is very well balanced, simple to read, and very informative about keeping rabbits. It covers all aspects of rabbit onwership, from rescue, to breeding and showing. I would recommend this one for any pet owner, rescue worker, or breeder.